Are you worried about your roof? Are you wondering if you should be worried about your roof? Good news: your roof will tell you! When a roof is having trouble, it shows it. Each problem has preliminary symptoms, and those are the ones you want to know. By knowing the signs a troubled roof, you can preempt expensive repairs and save money. At Tim Leeper Roofing, we work hard to empower our clients to know when to contact us. In our last blog, we shared two signs that something’s up, including curling shingles and sunlight in your attic. Today, we have two more signs! 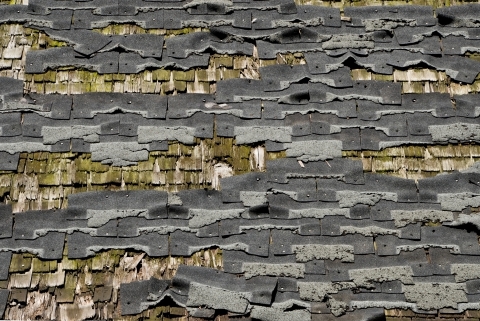 There is not a number of shingles your roof can be missing and still be okay. Whether we get high winds or your roof is old, if you’re losing shingles, it’s time to get help immediately. Your roof is a unified system that works to keep the rest of your home clean and dry. If any part of the system is lost, it can’t do its job, and you’ll have to pay the price. Contact Tim Leeper Roofing for all your roofing services needs!